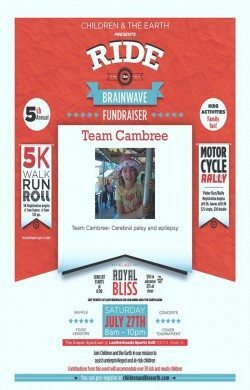 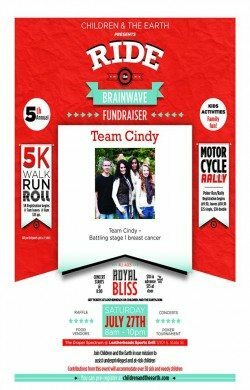 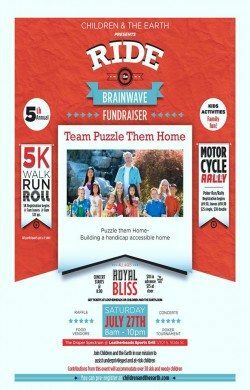 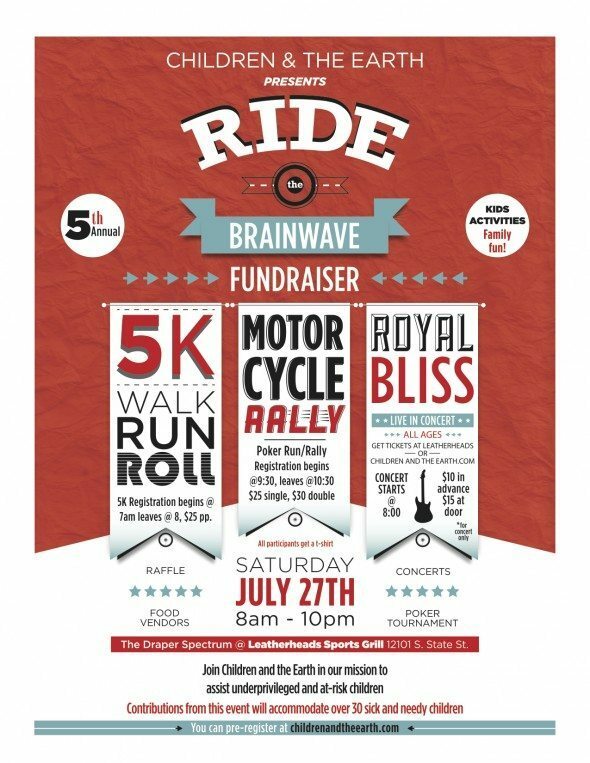 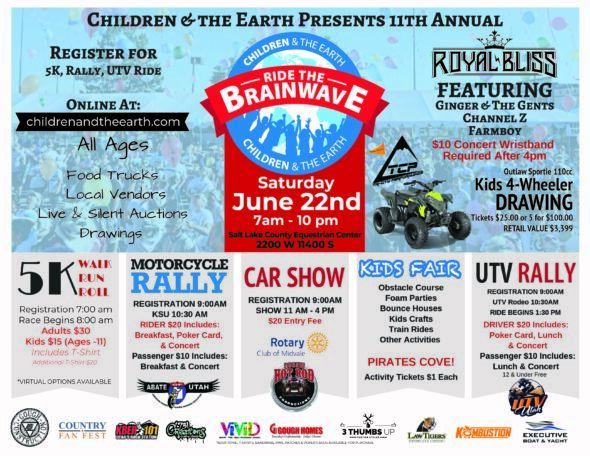 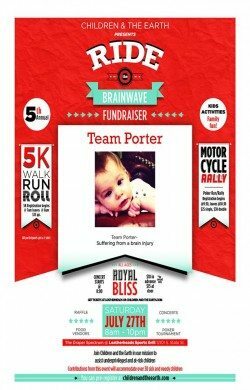 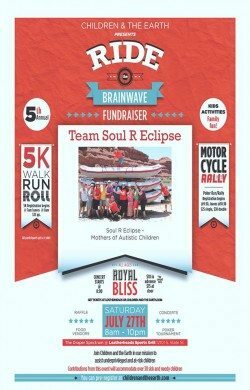 Please join Children and the Earth for our 5th Annual Ride The Brainwave 5k and motorcycle Rally, to be held July 27, 2013. 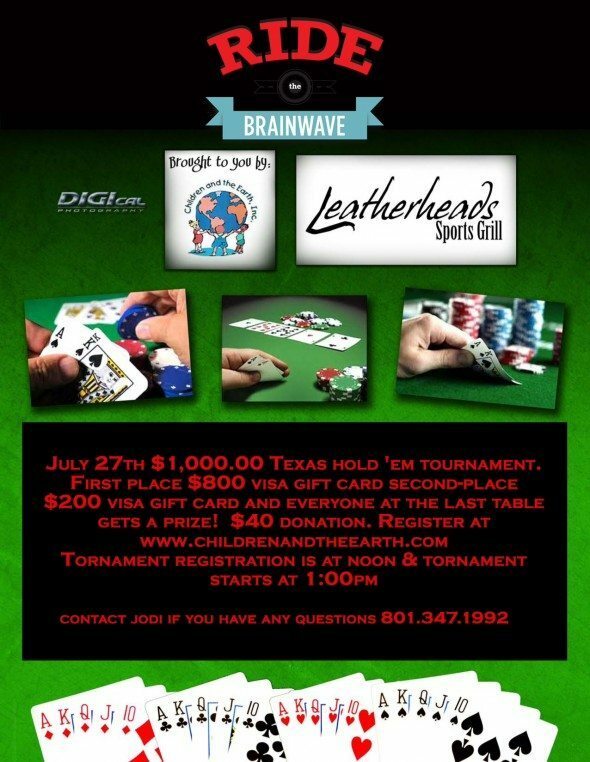 This all day event will be held in the Draper Spectrum Parking lot in front of Leather Heads. We will have a 5K, motorcycle rally, live music, vendors, great food, and stuff for kids too! The 5K in $25 pp and the motorcycle rally is 25.00 for a single rider and 30.00 for double. The ride includes breakfast and a t-shirt. All proceeds will benefit over 30 different recipients. You can pick a team and run or ride in honor of a specific cause. All team flyers will be posted as soon as possible with more info to follow. You will be able to pre-register for all events..THANK YOU! 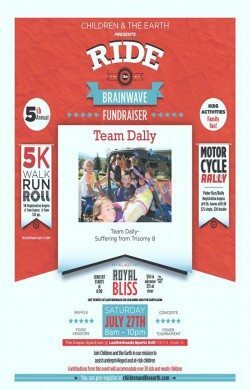 Here are the Team Flyers…pick a “team” and run in the 5k for a specific recipient. Our 2013 Ride The Brainwave corporate sponsors!! THANK YOU!!! !